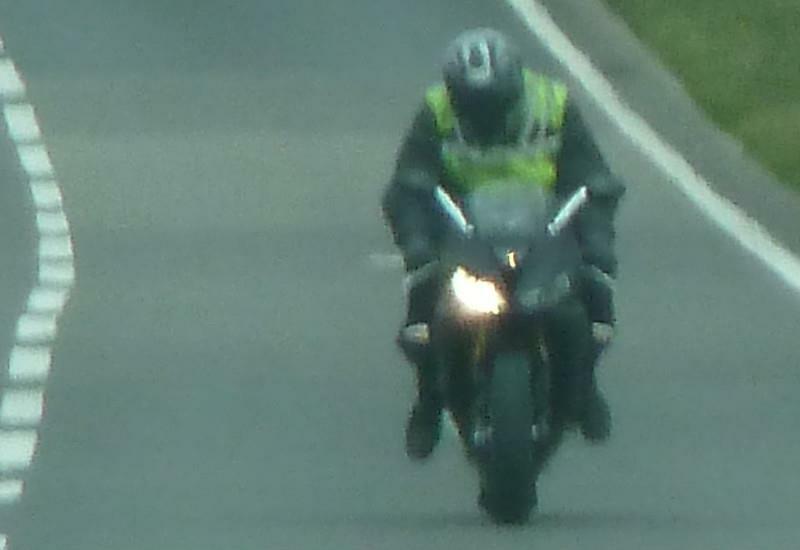 This grainy picture is the first ever shot of the new Triumph Daytona 675. It was one of four pictures – including a much clearer side-on shot you can see in tomorrow’s MCN – taken by an MCN reader near Triumph’s Hinckley factory. As you’ll see in tomorrow’s paper, the 675cc inline triple sportsbike has undergone a comprehensive overhaul – the underseat exhaust is gone, styling is updated and almost every visible part is changed. The head-on shot here shows a new central running light and curious alloy mirror stems. See all the pics and read MCN reader Dan Barker’s description of the bike in MCN, out tomorrow (July 20).